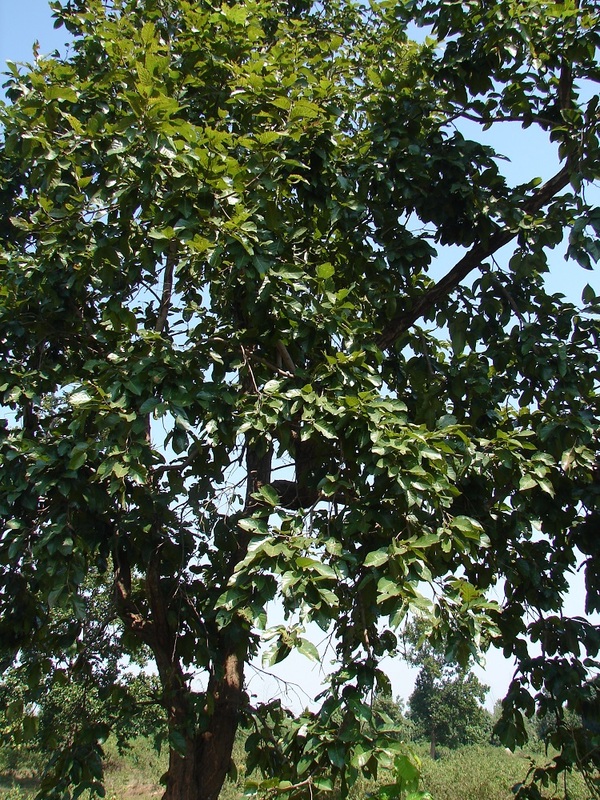 Image: Sargi Tree/सरगी का पेड़. Photo Credit: Mushtak Khan. 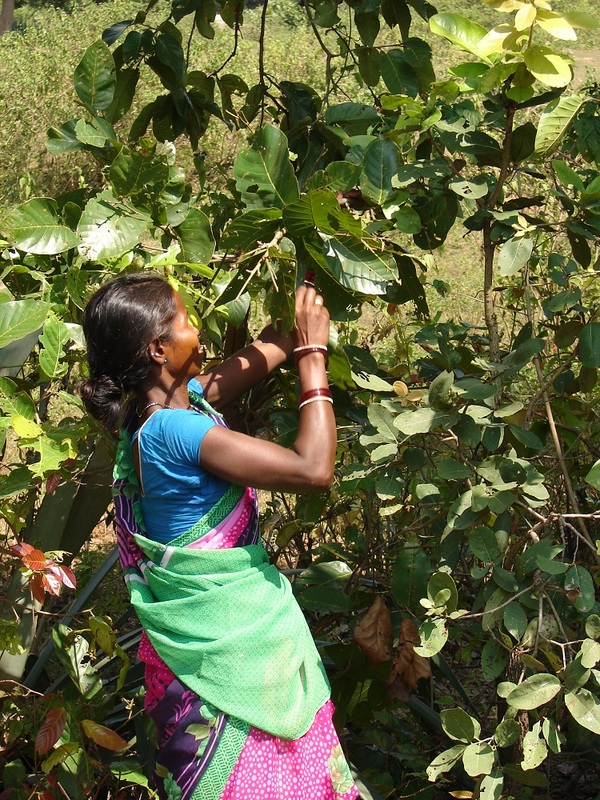 Image: Woman Plucking Leaves from Sargi Tree/सरगी के पेड़ से पत्तियां तोड़ती महिला. Photo Credit: Mushtak Khan. 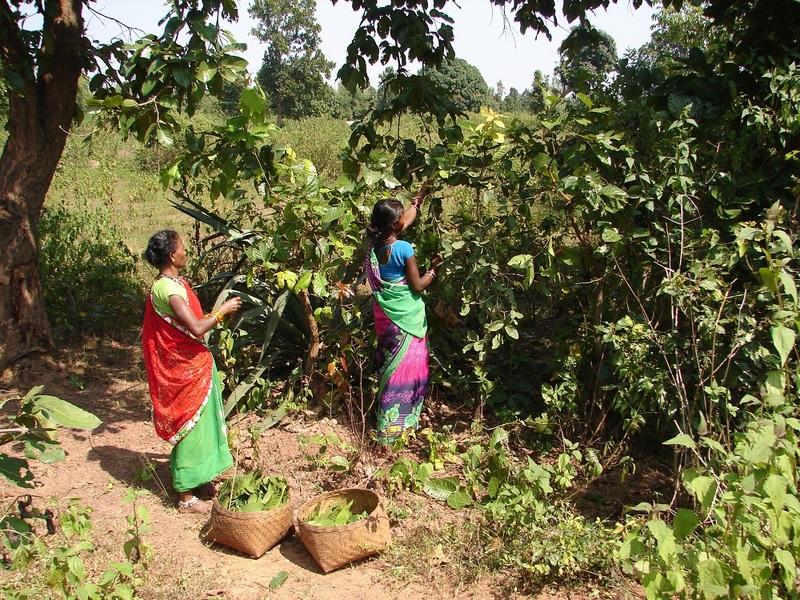 Image: Women with their Leaf Collection. Photo Credit: Mushtak Khan. 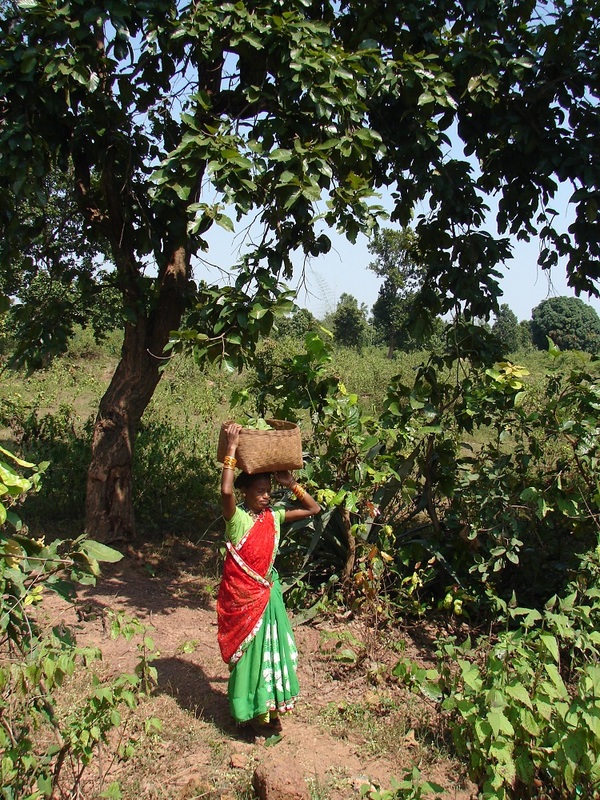 Image: Woman carrying leaves in a basket/एक टोकरी में पत्तियों को ले जाती महिला. Photo Credit: Mushtak Khan. 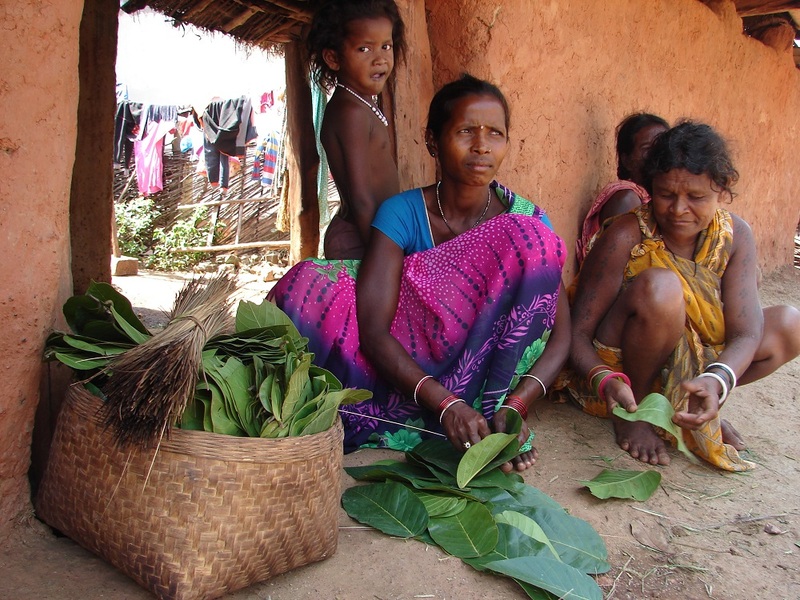 Image: Women stitching dona-pattal/डोना-पातल बनाती महिलाएँ. Photo Credit: Mushtak Khan. 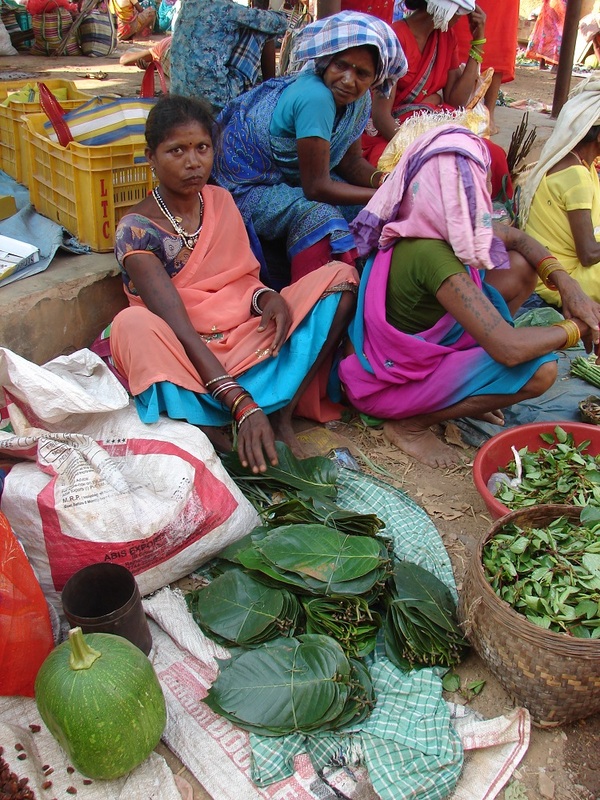 Image: Woman selling dona-pattal in a local market/स्थानीय बाजार में दोना-पत्तल बेचती महिला. Photo Credit: Mushtak Khan.